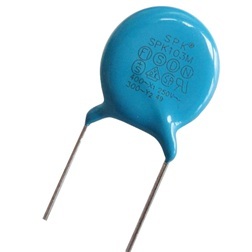 Capacitor is one of mostly used component in electronic circuit design. 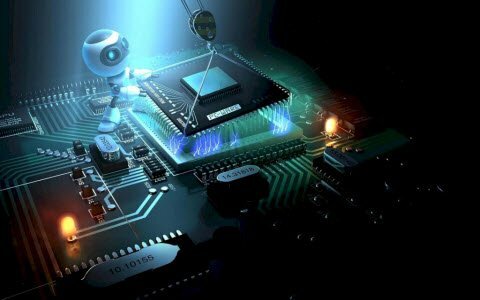 It plays an important role in many of the embedded applications. It is available at different ratings. It consists of two metal plates separated by a non conducting substance, or dielectric. It is often storage depots for analog signals and digital data. The comparisons between the different types of capacitors are generally made with regards to the dielectric used between the plates. Some capacitors look like tubes, small capacitors are often constructed from ceramic materials and then dipped into an epoxy resin to seal them. So here are a few of the more common types of capacitors available. Let’s see of them. Film Capacitors are sometimes called plastic capacitors because which use polystyrene, polycarbonate or Teflon as their dielectrics. 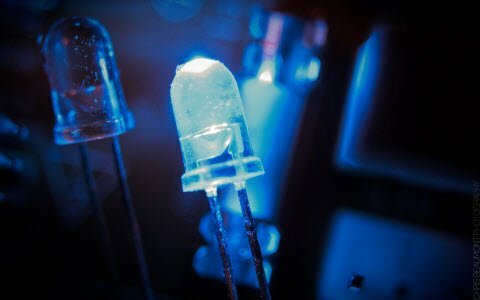 These film sorts need a much thicker dielectric film to lessen the danger of tears or puncture in the film, and is therefore more suited to lower capacitance values and bigger case sizes. The film capacitors are physically larger and more expensive, they are not polarized, so they can be used in AC voltage applications, and they have much more stable electrical parameters. Dependence of capacitance and dissipation factor, they can be applied in frequency stable Class 1 applications, replacing Class 1 ceramic capacitors. They come in values from a few Pico farads to 1 microfarad. The voltage range is from a few volts up to many thousands of volts. Ceramics are inexpensive to manufacture and they come with several dielectric types. The tolerance of ceramics is not great but for their intended role in life they work just fine. These are the most prevalently used capacitors which have a wide tolerance capacity. Electrolytic capacitors are available with working voltages up to about 500V, although the highest capacitance values are not available at high voltage and higher temperature units are available, but uncommon. There are two types of electrolytic capacitor, tantalum and aluminum in common. Tantalums capacitors have ordinarily better exhibition, higher value, and are ready just in a more limited extend of parameters. 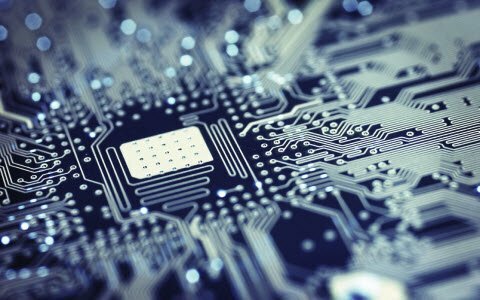 The dielectric properties of tantalum oxide is much superior to those of aluminum oxide giving an easier leakage current and better capacitance strength which makes them suitable for obstructing, decoupling, filtering applications. The thickness of the aluminum oxide film and heightened breakdown voltage gives the capacitors exceptionally elevated capacitance values for their size. In a capacitor the foil plates are anodized by a dc current thus setting of the extremity of plat material and confirming polarity of its side. A Variable Capacitor is one whose capacitance may be intentionally and repeatedly changed mechanically. This type of capacitors utilized to set frequency of resonance in LC circuits, for instance, to adjust the radio for impedance matching in antenna tuner devices. Capacitors have applications in both electrical and electronics. 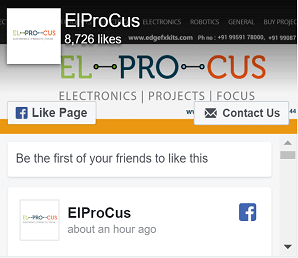 They are used in filter applications, energy storage systems, motor starters and signal processing devices. How to Know the Value of Capacitors? Capacitors are the essential components of an electronic circuit without which the circuit cannot be completed. Use of capacitors includes smoothing the ripples from AC in power supply, coupling and decoupling the signals, as buffers etc. 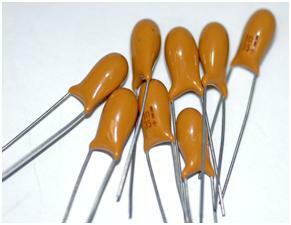 Different types of capacitors like Electrolytic capacitor, Disc capacitor, Tantalum capacitor etc are used in circuits. Electrolytic capacitors have value printed on its body so that its pins can be easily identified. Usually the large pin is positive. The black band present near the negative terminal indicates the polarity. But in Disc capacitors, only a number is printed on its body so it is very difficult to determine its value in PF, KPF, uF, n etc. For some capacitors the value is printed in terms of uF, while in others a EIA code is used. 104. Let us see the methods to identify the capacitor and to calculate its value. 1.The number on the capacitor represents the capacitance value in Pico Farads. PF / 1000 = KPF or n, PF / 10, 00000 = uF. For a capacitance value of 104 or 100000 in pF, it is 100KpF or n or 0.1uF. The letter below the capacitance value determines the tolerance value. For a 4 digit number, if the 4th digit is a zero, then the capacitance value is in pF. If the number is just a floating point decimal number, the capacitance value is in uF. E.g. 0.1/5/800 = 0.01 uF / 5 % / 800 Volt. Without a Capacitor, the circuit design will not be complete since it has an active role in the functioning of a circuit. The Capacitor has two electrode plates inside separated by a dielectric material such as paper, mica etc. What happens when the electrodes of the capacitor are connected to a power supply? The capacitor charges to its full voltage and retains the charge. The capacitor has the ability to store current which is measured in terms of Farads. The capacitance of a capacitor depends on the area of its electrode plates and the distance between them. Disc capacitors do not have polarity so that they can be connected either way round. 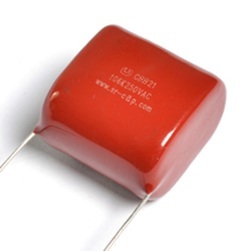 Disc capacitors are mainly used for coupling / decoupling the signals. The Electrolytic capacitors on the other hand have polarity so that if the polarity of the capacitor changes, it will explode. Electrolytic capacitors are mainly used as filters, buffers etc. Each capacitor has its own capacitance which is expressed as the Charge in the capacitor divided by the Voltage. Thus Q/V. 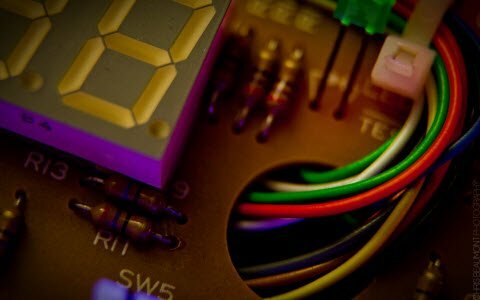 When you use a capacitor in a circuit, some important parameters should be considered. First is its Value. Select a proper value, either low or high value depending on the circuit design. The value is printed on the body of most of the capacitors in uF or as EIA code. In Color coded capacitors, the values are represented as color bands and by using a capacitor color code chart; it is easy to identify the capacitor. 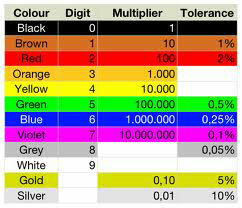 Below is the Color chart to identify a color coded capacitor. See, like resistors each band on the capacitor has a value. The value of the First band is the First number in the color chart. Similarly, the value of the Second band is the Second number in the color chart. The Third band is the multiplier as in the case of a resistor. Fourth band is the Tolerance of the capacitor. The Fifth band is the body of the capacitor which represents the Working voltage of the capacitor. The Red color represents 250 volts and Yellow represents 400 volts. 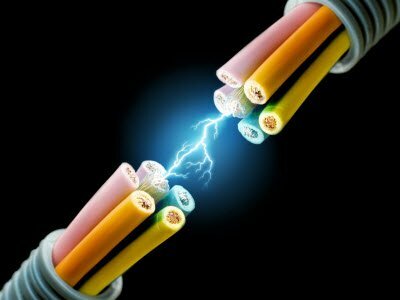 Tolerance and Working voltage are two important factors to be considered. No capacitor has the rated capacitance and it may vary. So use a good quality capacitor like Tantalum capacitor in sensitive circuits like oscillator circuits. If the Capacitor is used in AC circuits, it should have a working voltage of 400 volts. The working voltage of the electrolytic capacitor is printed on its body. Select a capacitor with working voltage three times higher than the power supply voltage. For example, if the power supply is 12 volts, use a 25 volt or 40 volt Capacitor. For smoothing purpose, it is better to take a high value capacitor like 1000 uF to remove the ripples of AC almost completely. In the power supply of Audio circuits, it is better to use a 2200 uF or 4700 uF capacitor since the ripples may create hum in the circuit. Leakage current is another problem in capacitors. Some of the charge will leak, even if the capacitor is charging. This is verse in Timer circuits since the timing cycle depends on the charge/discharge time of the capacitor. 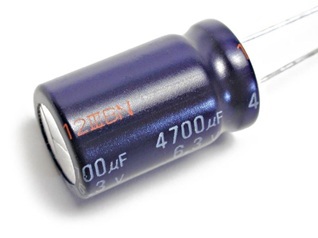 Low leakage Tantalum capacitors are available and use them in Timer circuits. Power supply must be in the specified range. The reset pulse width duration must be at least two machine cycles. The reset must be kept active until all two of the conditions are respected. In this type of circuit, the capacitor and resistor arrangement from the supply is connected to reset pin no. 9. While the supply switch is ON, the capacitor starts charging. At this time, capacitor acts like a short circuit in the beginning. When reset pin set to HIGH, the microcontroller goes to the power on state and after some time the charging stops. When charging stops, the reset pin goes to ground because of the resistor. The reset pin should go to high then go to low, then program starts from begging. If this arrangement does not have the reset capacitor or would have been left unconnected, the program starts from anywhere of the microcontroller. I would like to voice my gratitude for your kind-heartedness supporting individuals that should have assistance with the concept. Your personal dedication to getting the message all around appeared to be remarkably effective and has all the time helped workers just like me to get to their objectives. The insightful publication denotes a lot to me and somewhat more to my fellow workers. Thanks a lot; from everyone of us. the contant is very good, it help me alot. would you please help me with purchasing specification of normal capacitor.. This was awesome, thank you.